Anyway, because I understand how important these early copies are to authors and publishers and because I know they cost a lot to produce, I only take them with a promise to myself to share recommendations wherever I can. So this will be the first in a long-ish series of bookish thoughts from NCTE. All are from review copies supplied by publishers unless otherwise noted. 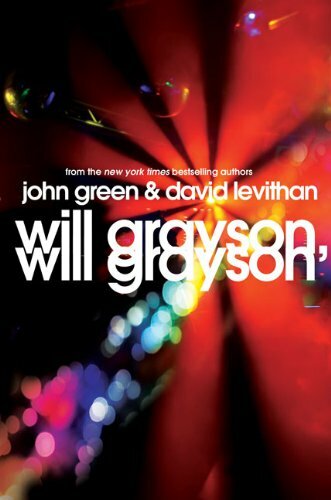 WILL GRAYSON, WILL GRAYSON is a collaboration between YA legends John Green and David Levithan, which is probably enough information to make you want to read it. But if not…also know that it is an amazing book. A few things occurred to me after I’d read just the first couple chapters. 1. There are lots of YA books that are great to share with my 7th grade middle school students. This is not one of them. It’s really a book for high school and up. 2. This is one of the funniest books I’ve ever read. Laugh-out-loud, snorting-milk funny. And smart. 3. Personally, I wish this book could be required reading for anyone who still believes that it is somehow okay not to give gay people the same rights as straight people. It’s a book that fosters understanding and empathy as well as anything I’ve ever read. It’s a book about friendship and looking for love, about finding it and losing it, about dusting yourself off and trying again. It’s about skipping in the parking lot and singing — loudly — no matter who’s listening or what they say. There’s a Broadway-esque musical within the novel that pretty much captures the whole spirit of the thing. You know those great Broadway shows, where the ending is so feel-good and cheesy but at the same time, so amazing and perfect that it couldn’t have ended any other way? And then when it’s over you just want to stand up and hug the stranger next to you and rush out and change the world? It’s like that. It’s a wonderful, wonderful book. (Coming from Dutton in April 2010). This entry was posted in Uncategorized and tagged book review, will grayson. Bookmark the permalink. Both comments and trackbacks are currently closed.